What are a few of the business challenges you are facing? What type of training would you like to implement? 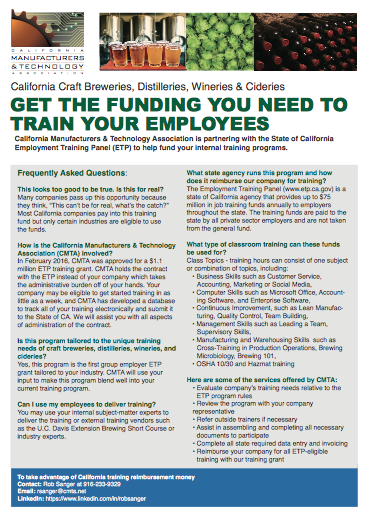 When is a good time for CMTA to call you to discuss State Funded Training?